BSI is suggested for stratifying patients with prostate cancer entering treatment protocols. 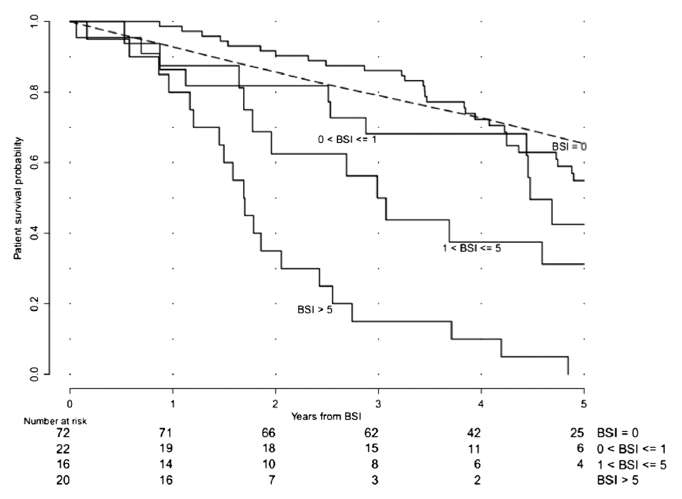 Patients stratified by BSI differ significantly in disease severity, disease progression rate and survival. 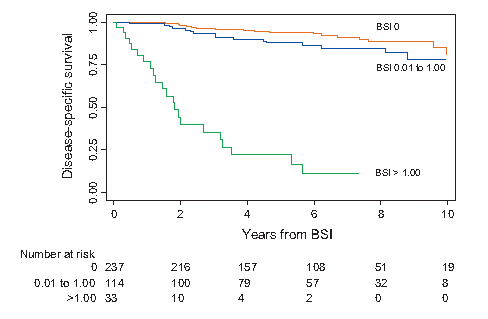 Disease-specific survival is higher for prostate cancer patients with BSI≤1 than for patients with BSI >1. 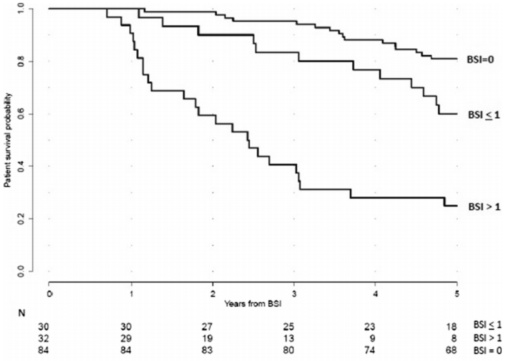 Overall survival probability is higher for patients with BSI≤1 than for patients with BSI>1, not only at the time of diagnosis but also during androgen deprivation therapy (ADT). Reza M, Bjartell A, Ohlsson M, Kaboteh R, Wollmer P, Edenbrandt L, Trägårdh E. Bone Scan Index as a prognostic imaging biomarker during androgen deprivation therapy. EJNMMI Research 2014 Oct 17;4:58. doi: 10.1186/s13550-014-0058-y. eCollection 2014.